From Burlington, turn left at the light just past the Chevy and Jeep Dealers. From Shelburne, turn right on Harbor View Road, the next right turn after Allen Road. Our driveway is the second on the right. Need a 30k service? Wondering how much it will be to check your front brakes? Have a strange sound that won’t go away? Thinking about buying a used car and want to have it checked out? 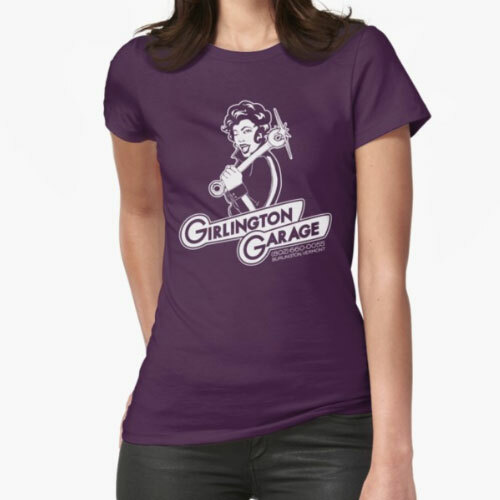 Girlington Garage is a full-service auto repair shop. We work on all types of vehicles, foreign and domestic. 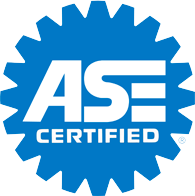 Our techs are ASE certified and skills include state-of-art diagnostics, alignments, tire repair, brake service, oil changes, exhaust systems and Vermont State Inspections. Tire Mount & Balance – Call and ask! Shop online or at the Garage. Assorted tees, hoodies, iPhone cases, bumper stickers, etc. I’ve been taking my finicky Audi to Demeny’s shop since last June – just after the shop opened. I refuse to take it anywhere else. Demeny is honest and helpful and I’ve never had anything but the best of experiences with her work. Everyone in the shop is friendly. I would (and do) recommend her shop to everyone I know. They are great and extremely helpful. They are willing to work with any kind of budget or situation you are in. They find the best solutions for figuring out your car trouble. They’re very professional as well as they care a lot about their customers. They also do extra little things like give you a cookie or a chocolate. They’re reasonable but if you look around there might be places that are a little cheaper, but I feel like it is worth the cost. They’re definitely responsive. I would continue to use them in the future. Took good care of both my cars. Demeny is the real deal and I always feel comfortable there. No ripoffs, no crazy explanations, no nonsense basically. They have a shuttle to get you to work/home, online scheduler and a cookie in your car when you pick it up. They can be slow but that is partly my fault for having old cars that need parts ordered. Demeny always calls you direct too to give you updates. Recommended. Wow – I took my laptop to get some work done while they changed over my tires, and I didn’t want to leave. Comfortable couches, nice atmosphere, a well-stocked tea and coffee bar, plus the friendly staff and 2 very sweet little dogs made the wait a pleasure. I was sorry to have work to do, as I would have happily just sat back and relaxed. The bill was very reasonable, the work went even more quickly than was estimated, and when I went out to my car a chocolate truffle was waiting on my dashboard. This is a trip to the garage? Wow. I’ll be handling all of our car repairs from now on. I have had my car worked on four or five times here. The staff takes extra time to explain what is going on, although I have been in when it was really busy and a little hectic. The WiFi makes the wait more tolerable. I trust that the repairs are done well and I’m not paying for parts I don’t needand that makes the real difference. I came for the cute logo and good coffee in the waiting room, and stayed with them for the honest and competent work they provide. I love this shop. I’ve been to them at least four times since moving here two years ago, forinspections, oil changes, and repairs. Each time, Demeny and her crew have done a fantastic job, surpassing all my expectations and in record time. Instead of just fixing a part of two, Girlington will check out the entire car and give you an honest assessment of the problem. The building is clean and well lit, with snacks, water, coffee, and a comfy couch to sit it. Demeny, Donna, and all the staff are smart, helpful, honest, and friendly. 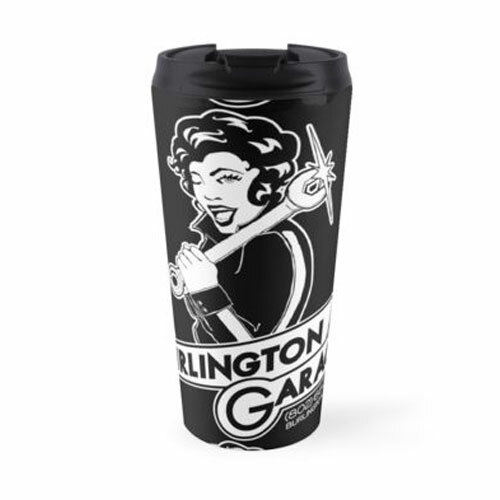 I can’t recommend Girlington enough – if you need work done in the Burlington area, they’ll do a fantastic job. A big “thank you” for taking care of my car… and making my kids giggle in the process. You’re the best! Con, Ro and I say “Thanks” to Demeny, Britt, and everyone at Girlington for making sure our car was roadworthy for our trip to Maine last July. Thank you! Very cool place where they take the time to explain things. I love this place– I used another local mechanic for years with good, reliable, honest service. I tried Girlington mostly because it sounded like a good place. My old car was old and breaking down in a lot of ways- they were fantastic about not only fixing problems, but also explaining things in a way I could understand. I just brought my new car in for an inspection and upon my request, they gladly let me come into the garage while they did the inspection to show me around the car. They showed me what had been fixed before, explained everything in a way I could understand and pointed out things that were both in good condition as well as things that may need repairs soon. They also showed me exactly why a certain repair had to be made. I highly recommend this establishment and can only assume that the very few negative reviews are from individuals who had isolated bad experiences- certainly not Girlington’s norm! Be brave, little toaster! You’re in strong, safe, capable hands! Omg so love and appreciate what yall have done and how much of an inspiration yall are for girls like me who adore turning wrenches, especially in other places where female techs aren’t as easily accepted, like way south Texas. Thanx ^_^. Reasonable rates, friendly and expert service, and a cookie for my ride home, what more can I ask? Big fan of this place. Fair prices, great people. I know that only the worked required is being done and they are not trying to pull a fast on me like so many garages often do. Just want to thank you for taking care of my “Pumpkin” today. I appreciate the honest, caring, professional service. And so does Pumpkin :-) Thanks. Love it, love it, love it. Honest, thoughtful and conscientious mechanics and staff for the big stuff, or the little stuff. Highly recommended. My experience at Girlington was brief, but very informative. …The mechanic even showed me the wear on my tires in explicit detail. … To top off the awesome, Front Desk Lady gave me a post-it note with my tire specs so I could go find some for perhaps less money, just like that. Bravo, Girlington. 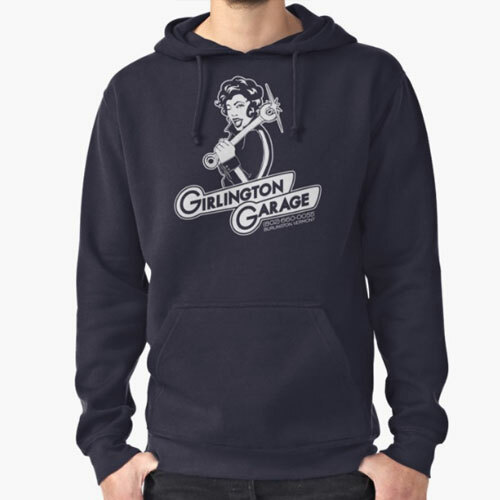 Girlington Garage is the best place in the Burlington area for auto repairs, hands down. …The prices are fair and I like supporting a local business- especially one owned by someone who so clearly cares about providing the highest level of service. If I lived in Vermont, this is where I would take my vehicle. I brought my car in for a state inspection a few days ago and I was very pleased with my experience at Girlington Garage. The staff was very friendly and the service was quick and honest. I’ll definitely be back! This garage is trustworthy, friendly, and always there when you need them!! 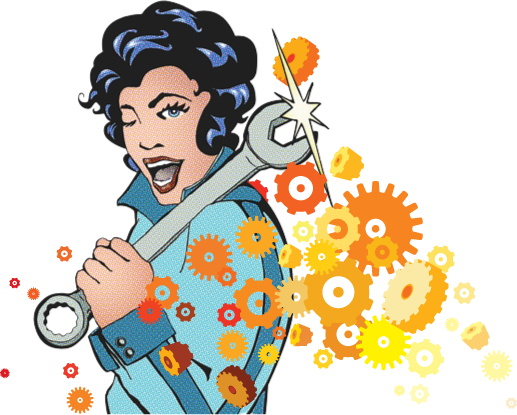 Simply put, don’t go anywhere else...go to Girlington Garage for all you automotive needs. Really nice, friendly service. Felt like my car and I were both treated with respect. Have been through a few garages in Burlington with my VW, and this place is consistently the best. Fair prices, prompt service, and excellent, friendly staff.